Current issues of print journals are located in Sherrill Library's atrium, and older, bound versions are on the lower level. Moriarty Library's current print periodicals and magazines are on the wall across from the information desk at Moriarty Library, and you can find older, bound versions upstairs. 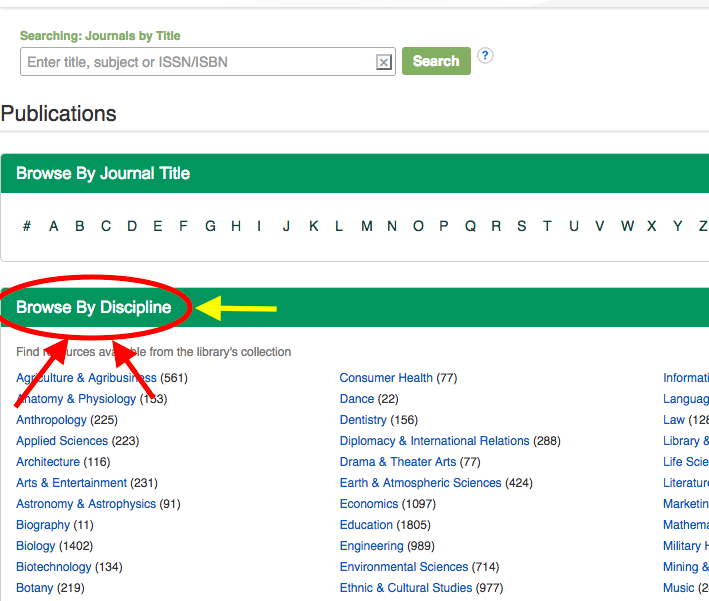 Older issues of print journals are shelved by call number. To physically browse the collection, identify which Library of Congress Classification letters and numbers correspond with your subject and then proceed to the floor that has the bound journals, depending on the library location, as instructed above.